Pack man Lewis Reed will hang up his boots at the end of Hunslet’s 2018 campaign to pursue a career outside rugby league. Reed joined the Parksiders at the start of the 2014 season from Keighley Cougars and went on to make 83 appearances, scoring 13 tries, for the club. He has established himself as a firm favourite among fans with his strong carries and never-say-die attitude. Director of rugby Darren Williams said: “Lewis is going to be hard to replace; he’s really bought into the concept of what we are about here at Hunslet RLFC. “It has been a pleasure to see him develop after signing him from Keighley Cougars in 2014 and his journey from spending his early time at the club on dual registration at Hemel Stags and a loan spell at London Skolars to him now been an established performer and key figure within the group. Reed added: “At the presentation evening I announced I would be taking some time away from rugby due to accepting a new job role and therefore retiring from rugby indefinitely. “This was never an easy decision to make and I have enjoyed the past five years at Hunslet so much that it’s really difficult to put into words how good it’s been. It’s turned me into a Hunslet fan and I’m privileged to have played as many games for this club as I have. “If I do return to semi-professional rugby, then rest assured Hunslet will be the first club I call as I really couldn’t envision playing for another club than this one. “I’d like to thank everyone at Hunslet for my time there, all the staff, the truly awesome fans, the coaching staff and team mates past and present. 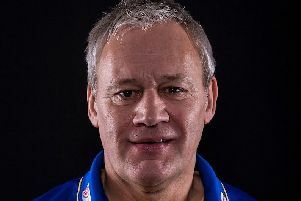 “I’m looking forward to starting a new chapter in my life and wish GT [head coach Gary Thornton] and all the lads the very best for 2019 when they hopefully get into the Championship.